The iconic characters of the DC Comics Universe show off their fighting skills. Even if you've never read a comic book, you know DC Comics' iconic characters. Many of them have been brought to life outside of books, appearing in movies, TV shows, and videogames of their own. 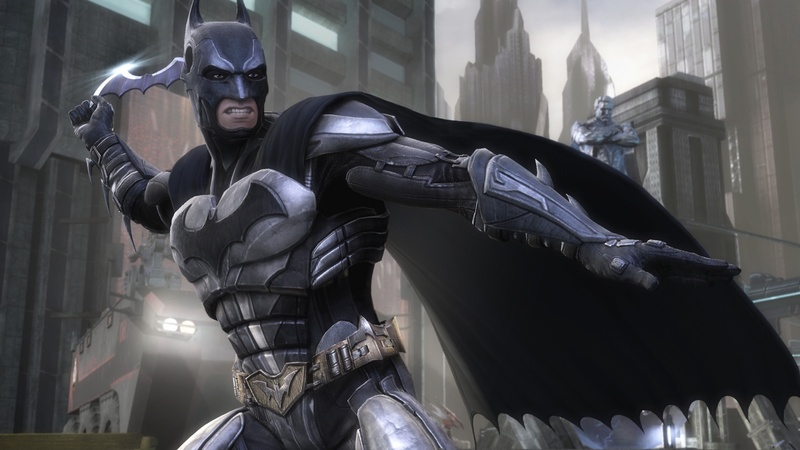 Now NetherRealm Studios is bringing many of DC's recognizable heroes and villains together in their very own fighting game, Injustice: Gods Among Us. I got to play a few rounds of Injustice at New York Comic Con, and even for a hopeless button-masher like me, the impressive roster and interactive environments offered a fun, distinctive fighting experience. Of course, this isn't the first time DC characters have appeared in a fighting title. 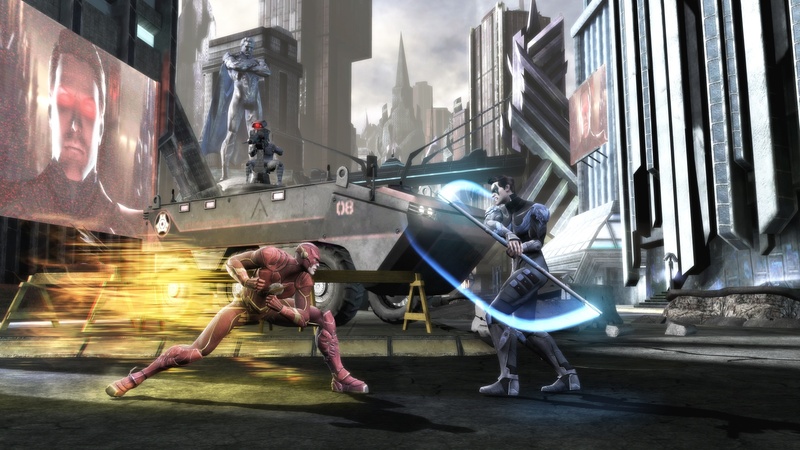 They shared the spotlight in Mortal Kombat vs. DC Universe, but this time they're got a game to themselves. There were a handful of playable characters in the NYCC demo version of Injustice, including the recently announced Green Arrow, but I stepped into the psychopathic shoes Harley Quinn and then wielded Wonder Woman's Lasso of Truth during my two matches. 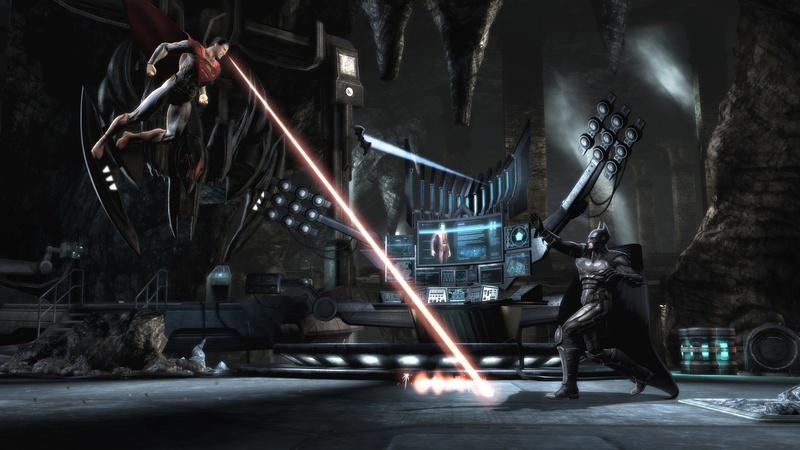 The simple controls make it easy to jump right into Injustice even if you're not the most experienced fighter. 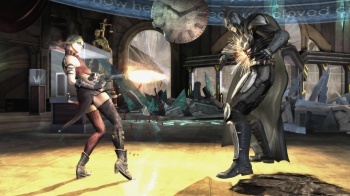 On the PS3 version, and the X, Triangle, and Square buttons are standard attacks, while the Circle button triggers a simple move unique to each character, such as Wonder Woman's ability to switch between her sword and lasso. Even the most basic movements vary by character; Harley struts forward and backflips away, while Wonder Woman floats gracefully to her targets. While the combatants battle it out, a meter fills for each character that, when filled up, allows him or her to unleash an over-the-top, unblockable attack. I saw my opponent, Superman, lift me into space before smashing me back to earth, and got my revenge when I used Harley's exploding cupcake to blast him away. The stages can also be helpful when attacking; standing near certain elements, like cars or projectiles, allows you to use them against your opponent. You can even take one away mid-animation, as I was able to do when I was about to get smashed with a car. I grabbed it in mid-air and instead used it to beat my foe into a pulp. Each environment has multiple parts, with characters battling their way through several tiers before once again ending up where they began. I still don't know why these characters are fighting each other, outside of the usual heroes vs. villains shenanigans, but that really doesn't seem to matter much. 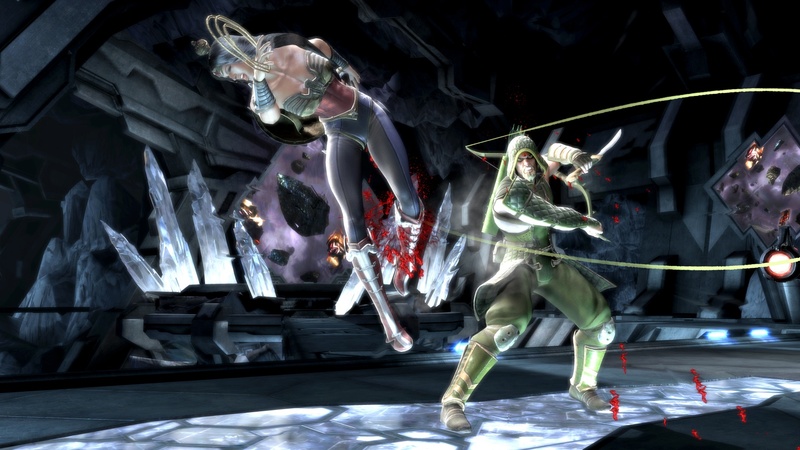 Injustice: Gods Among Us does a great job of bringing these characters to life, even if it is just to have them beat the crap out of each other. Injustice is fun, it's delightfully violent, and it's full of entertaining ways to smash, punch, and blow up your opponents. 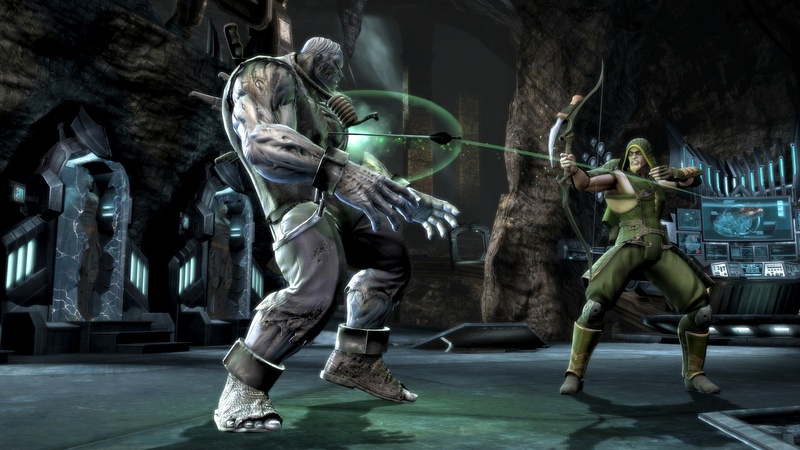 There are still more spots on the roster to be revealed before its April 2013 launch, so we'll see even more DC characters when Injustice: Gods Among Us comes out for the Xbox 360, PS3, and Wii U.